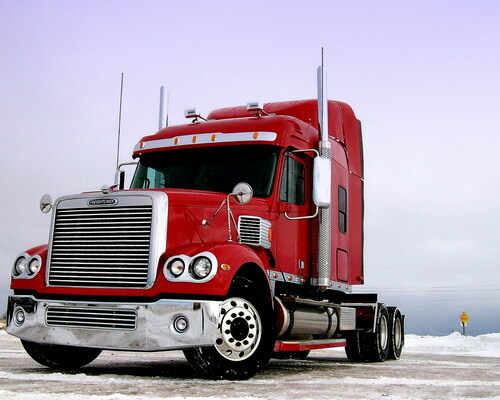 International Shipping Services offers a number of shipment options for the international relocation of your truck. Each shipment method is customized to the individual needs of each customer depending on the number of trucks and destination. One of our international truck shipping specialists will discuss your options and prices with you. 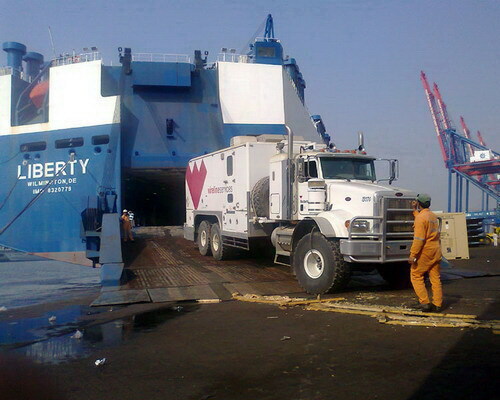 Shipping commercial trucks and pick-up trucks overseas from the USA by container and RoRo. Step 1: The customer can either deliver his truck with all of the necessary documents to the port/warehouse or ask us to pick it up. Step 2: Int'l Shipping's crew loads and secures the truck into an ocean shipping container / flat-rack or the port workers will load it directly onto the vessel with Ro/Ro transport. Step 3: The truck is then transported to the port of departure, cleared with Customs and loaded onto the shipping vessel. Step 4: Once the truck has reached its destination, it will be taken off the vessel where the port agent will see it through Customs and either deliver it to the new residence or have the client pick it up directly from the port/warehouse. My experience with ISS was superb. After finding this site, I was able to find that ISS was recognized and rated as the leading truck transport company from US to overseas. I was provided an honest discussion of the inner workings of the industry and quoted a median price based on other previous quotes. Overall, the experience with ISS far surpassed my expectations. This was my first time shipping my new pick-up truck out of country and I was being scared and worried. I talk to ISS and they asked me few questions and gave me quote for $1200 to ship my truck to Germany and he explain me the whole process. Overall experience was really excellent and I would recommend to this anyone and I will definitely use them again for the future. I emailed ISS for transport cost quote for my truck to Africa and in less than 24 hrs they emailed me back. My truck was surprisingly picked up on the day it was available and 45 days after it was delivered to Africa which was the expected day of delivery. They called me with updates and sent all shipping documents after the vessel sailed from the port in USA.